Emerald is the green variety of the mineral beryl. 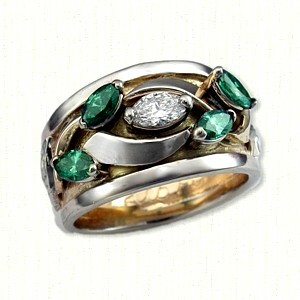 Emerald's precious green color is caused by small amounts of chromium and enhanced by traces of iron. The most prized is pure green or slightly bluish green. 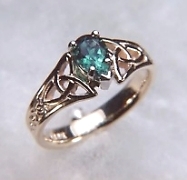 Unlike other beryls, emeralds often contain inclusions and other flaws. 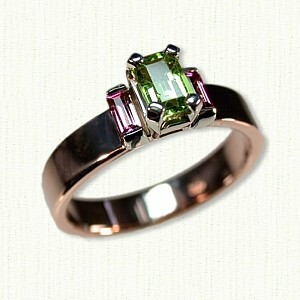 These flaws are not looked on as negative aspects for emerald like they would be for other gemstones. Indeed, these flaws are considered part of the character of the stone and are used to assure the purchaser of a natural stone. A flawless, clear emerald is very rare and is usually found in only small sizes. Emerald is also lovely when cut into a cabochon or dome shape. Sometimes emeralds are even carved. 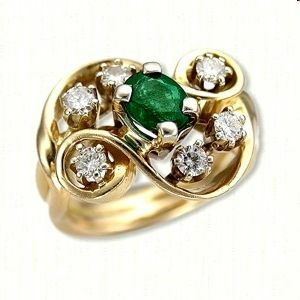 Emerald is the birthstone for the month of May and is also the anniversary gemstone for the 20th and 35th years of marriage. The ancients held the emerald in great esteem, believing they sharpened the wearer's eyesight and mind. The earliest engravers kept emeralds on their work tables to gaze upon from time to time to rest their tired eyes. Travelers relied on emeralds as protection against the hazards and perils of long journeys. 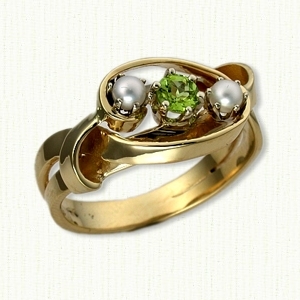 The green gem was also said to give its owner the power to predict the future. They are found mainly in Colombia, Brazil, Zambia and Zimbabwe. Many items shown here were created for a specific customer and while we will gladly create something similar, it will not be identical, as all our product is hand made. Since we hand fabricate our mountings we are able to accommodate most ANY shape and size STONE. Call us or e-mail us with your choice of stone, stone size and cut and we will gladly provide a price quote. Platinum mounting set with a gem quality .50ct pear shaped emerald. with .60ct - 7x5mm pear shaped emerald. 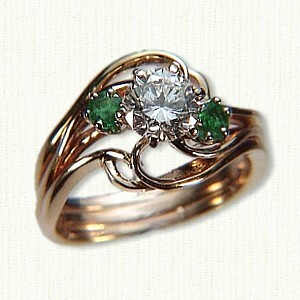 Shown in 14kt yellow gold with a 4mm round emerald. 18kt yellow & Platinum prices as per quote.